SHELBY, Ohio — Like many people in Richland County, Lyle Pheils didn’t expect a tornado in the middle of a sunny Sunday afternoon. Pheils took his son Tobin, 3, grocery shopping at Cornell’s IGA in Shelby. As cashiers checked Pheils and other customers out, the store’s power began flickering. Dakota Grosscup, a store employee, waited with Tobin under an awning while Pheils went to retrieve his vehicle to load groceries. Grosscup helped Tobin back inside, as Pheils followed behind. Along with his coworkers, Grosscup calmly led customers through the store and, at the direction of his supervisor, into a milk cooler in the back of the store. Bill Burdge, the store manager, said he was proud of his workers for acting quickly to keep customers and employees safe. On Tuesday, the Pheils' got a chance to say thank you to their new hero. “Thank you for helping us,” Tobin said to Grosscup. “Thank you for saving my little brother,” Bennett Pheils, 6, said. Lyle Pheils said Grosscup’s quick actions made a bigger impact than he would ever know. 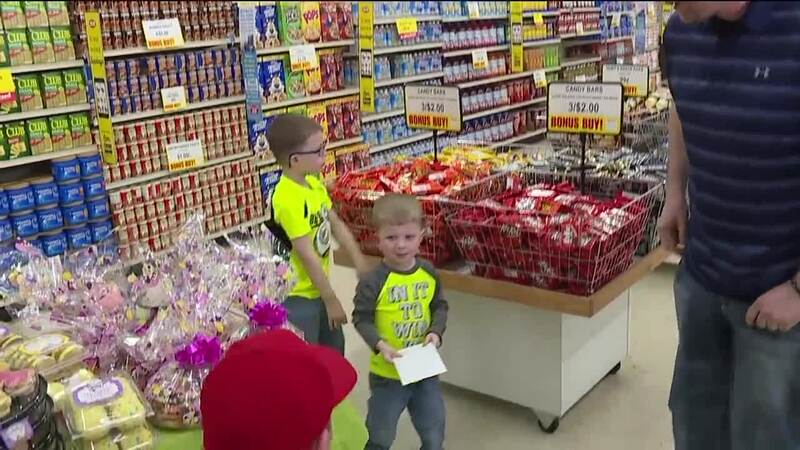 “For us, it made all the difference, and we’re just extremely grateful and wanted him to know as well as the store that he works at and people in the community,” Pheils said. Grosscup, though, doesn’t think of himself as a hero, reserving that title for first responders and utility workers who have helped in the aftermath of the tornado. He said he thought everyone at Cornell’s, from employees to customers, did a good job maintaining composure and working together.